Ambio is a lamp that lights up with a blue glow from the beautiful effect of bioluminescent waves. Created by biologist turned industrial designer- Teresa van Dongen, the lamp consists of a glass tube filled with octopus bacteria which glows when mixed with oxygen. 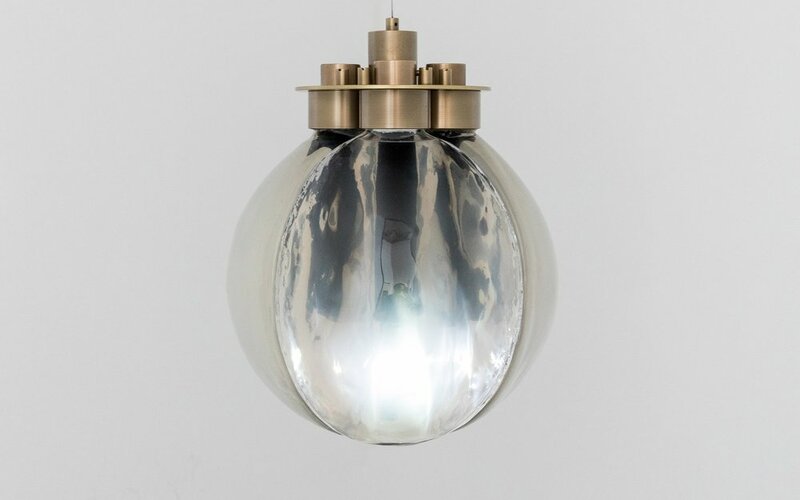 The glass tube is held between two brass weights which prolong the swinging of the lamp and wool caps the tube allowing for a continuous supply of oxygen. Also, by van Dongen is Spark of Life, a lamp with LEDs powered by electrochemically active bacteria. The bacteria generate electricity which is captured in the lamp by electrodes that transmit it to LEDs within the lamp. To keep the bacteria alive, they are fed with a teaspoon of acetate every two weeks. Living Light is another organically powered lamp, it utilises microbial energy produced when electrons are discharged during bacterial interactions. The lamp designed by Ermi van Oers converts energy generated during photosynthesis to electricity that powers LEDs. Lamp that uses a living plant to generate its own electricity by Ermi van Oers. There are also other forms of technologies other than organic ones being developed. An example is Pavegen’s foot-powered tiles which generate electricity from pedestrians’ treading. The tiles convert kinetic energy from pedestrians footsteps into electrical energy through electromagnetic induction. The tiles generate enough power to power street lights and can connect to an app that informs the pedestrians of how much electricity they have generated. Pavegen tiles produce kinetic energy when stepped on. The development of these technologies are still in their early stages but they might prove to be viable in the future. A primary shortcoming at present is that the organic solutions specifically are only bright enough to serve as ambient lights and some have a very short life-span. Despite that, the exploration and development of such unconventional solutions that fuse nature and technology pushes the boundaries of product design through exciting concepts. At Hone, we believe in this philosophy, that solutions which defy the status quo are key for setting a product apart from the crowd and generating a unique value for your business. Get in touch with us at 03 9939 8880 or hello@honep.com to discuss how we can apply our creative design and technical engineering expertise to help you develop exciting products for Australia and the world.